We normally see a lot of green on St. Patrick’s Day. One would think that publicly traded banks see a lot of green, too, as March 17 marks a worldwide celebration. That’s when the Irish and Irish-at-heart around the world celebrate St. Patrick’s Day, which started as a religious feast day for the patron saint of Ireland. Popularity of St. Patrick’s Day spread internationally with dancing, parades and other festivities. 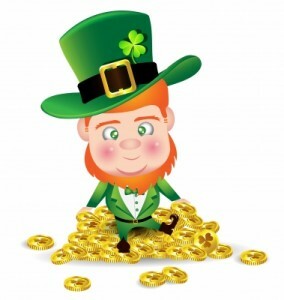 But St. Patrick’s Day was not a festive green occasion back in 2010 for three banks in Washington state – they lost major ground on Wall Street after they released bad news just 24 hours earlier. City Bank (NASDAQ: CTBK) shares dropped almost 18 percent – 22 cents and closed at $1.03. This was just 24 hours after the Lynnwood bank was given a deadline by the Federal Deposit Insurance Corp. – 3o days to raise cash or it was told to find a buyer for its assets. Less than one month later, City Bank was closed by regulators — see the FDIC announcement. Frontier Financial Corp. (NASDAQ: FTBK) shares fell nearly a third. It dropped $1.35 and closed at $2.89. That’s a loss of $70.2 million – $14.89 a share for the Everett Bank. Frontier announced its Q4 loss had actually ballooned more than two-fold. Originally, the bank indicated it lost $33.9 million or $7.19 a share. The FDIC gave Frontier an unsatisfactory in capitalization. Shortly thereafter regulators shut down the bank and forced it to sell to an out-of-state financial institution. Read a published report here: Frontier Bank had a $450 million rescue plan but regulators rejected the deal. Sterling Financial Corp. (NASDAQ: STSA) shares plummeted almost 17 percent – down 13 cents and closed at 64 cents. The Spokane bank acknowledged it was facing obstacles in raising $300 million. With a higher profile than the other two banks, Sterling was a candidate as a case study for poor marketing. Viewers were subjected to countless horrible TV commercials during broadcasts of the Seattle Mariners in the 2009 season, the bank’s problems were understandable. It spent considerable sums of money on dubious advertising. The TV ads showed a consumer on his deck talking on the phone to someone at his new, out-of-state bank. The actor seemed frustrated in trying to explain where Washington is located – a dig at big banks domiciled elsewhere. If Sterling had any hope of attracting depositors, the proper strategy would have been to broadcast the benefits of being a Sterling customer. However, Sterling had a better fate than the other two. It held out until being acquired by Umpqua Bank in 2014. The moral: Image is important with investors, regulators and consumers. Whenever a financial institution invests in marketing, it should be branded carefully to generate trust. Consumers want common sense — they bank where they know they get value, and they want to bank where their money is conservatively handled. From the Coach’s Corner, one of the nation’s many 2009 bank failures that cost the FDIC $298 million was the result of economic conditions, to be sure. When Marketing Financial Information, Be Careful in Choosing a Medium — If you’re in the business of communicating financial data, don’t succumb to the charm of state-of-the-art technology, especially online video. In choosing a messenger medium, a conservative approach is best.